The start of the new year is nearly upon us and Sony is kicking off 2018 by including some pretty great games in the January PlayStation lineup. On the PlayStation 4 PlayStation Plus members will get Deus Ex: Mankind Divided along with Telltale’s Batman Season 1. In addition as a bonus game PlayStation Plus members who have a PlayStation VR will be able to get Starblood Arena for free from January 2 through March 6. On the PlayStation 3 both Sacred 3 and The Book of Unwritten Tales 2 will be free. On the PlayStation Vita both Uncanny Valley and Psycho-Pass: Mandatory Happiness will be free and both are Cross-Buy with PS4 giving you two more games to play on there if you don’t have a Vita. All of these games will be free starting January 2. 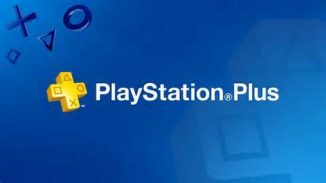 Let us know in the comments what you think of the January 2018 PlayStation Plus lineup.